It’s easy to have a picture of a country from other people’s experiences, books, the Internet etc. We definitely had set ideas in our minds of what we thought China would be like. Andy had visited Beijing as a child but didn’t remember too much of what it was really like. 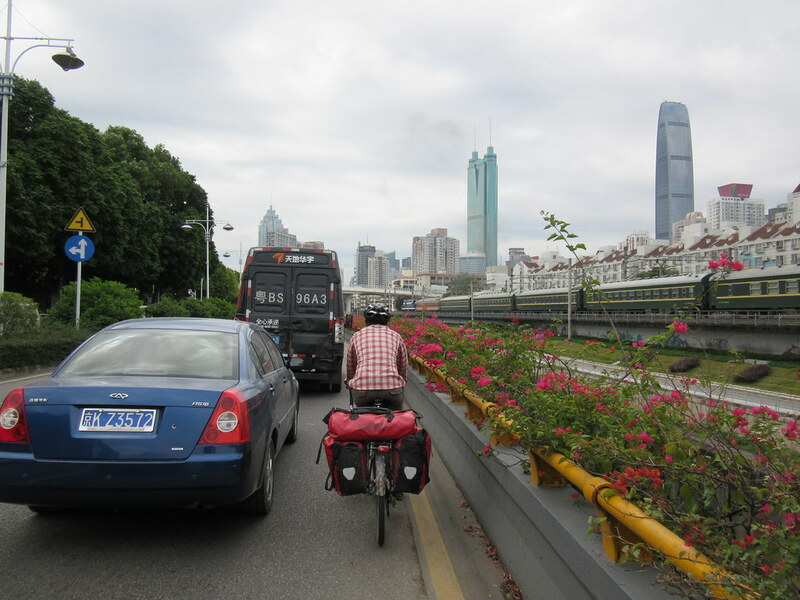 I had never been to China and was a bit apprehensive about cycling there. A country with nearly 1.4 billion people and in my head where every road would be busy with traffic and difficult to manoeuvre a bike. A country where there were few manners, a country where people weren’t the friendliest, a country that was polluted and destroyed from industry. So why was it we were taking this route rather than an alternative? These weren’t the only preconceptions we had. 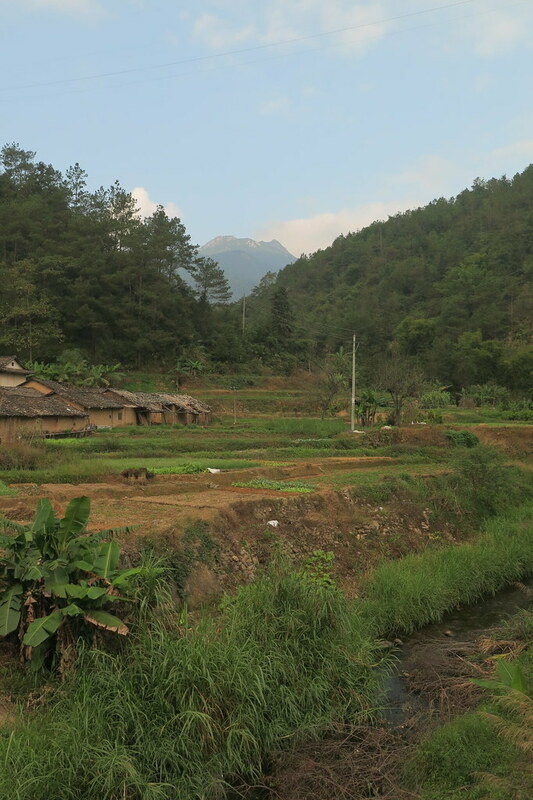 We had also heard the good too, that this enormous country had a lot to offer and we were excited to find out for ourselves what it was really like. Our experience of China started from our boat trip across from South Korea. 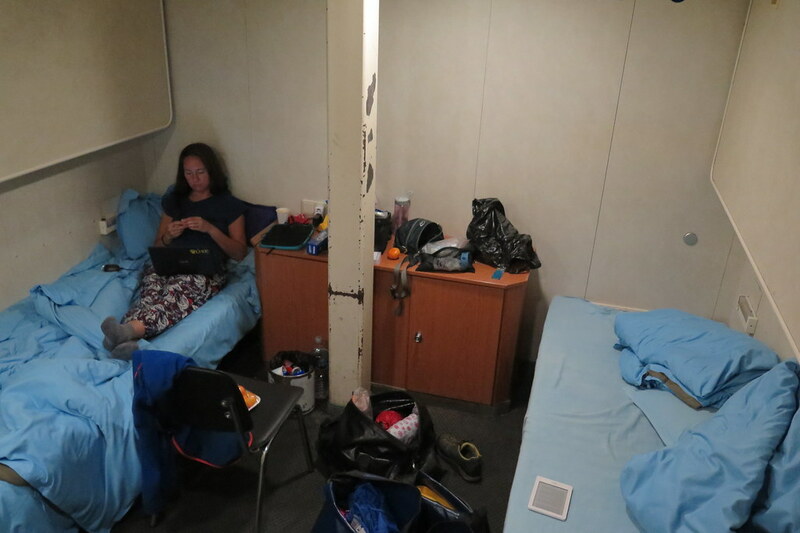 We had been separated from any of the other Chinese passengers being put in a room each on our own. We also got onto the boat quite quickly and as it slowly filled up the noise started. This is maybe what we have found to be the worst trait, the volume switch, but if that’s the worst then it’s really not that bad! We were glad to have our sanctuary of our room but people were welcoming. People tried to talk to us, they made room so we could sit and have our dinner, they were interested and kind. Then getting off the boat people helped us carry all our gear. It was a good start to the trip. The next concern was the following day when we were going to start cycling. I was definitely nervous about being on the roads. 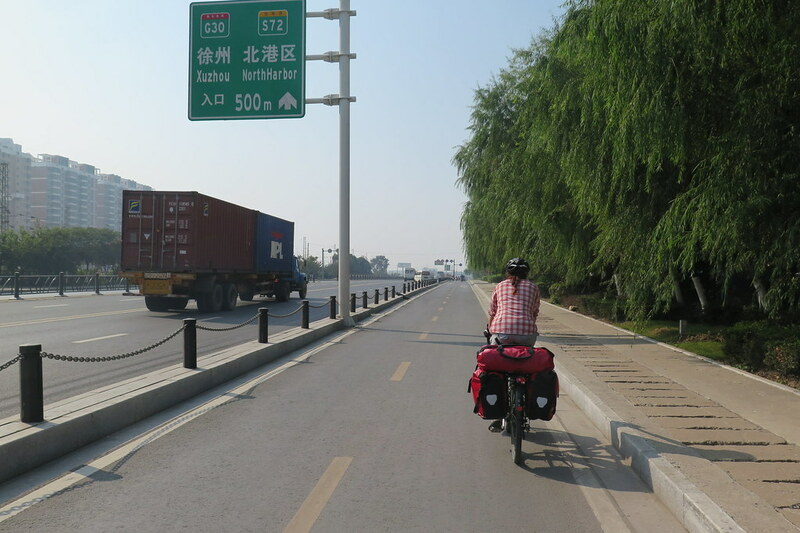 But as we left Lianyungang there was a great hard shoulder to ride along and we were surprised by the quality of the roads and a lot of the time there was more than one lane and a hard shoulder, or a separate bike lane away from the main road. We have also had a couple of occasions where roads have turned to a muddy, rocky mess with vehicles all over the place but on the whole the roads have been great. The flow of traffic is fairly chaotic to the non-native but it really does just work. Once you work out what you should be doing it makes sense. It sometimes gets frustrating as push-bikes are definitely at the bottom of the hierarchy so you have a lot of vehicles pulling out in front of you. It’s annoying losing your momentum and we don’t have loud horns to blast to warn them not to pull out like a lot of bigger vehicles. 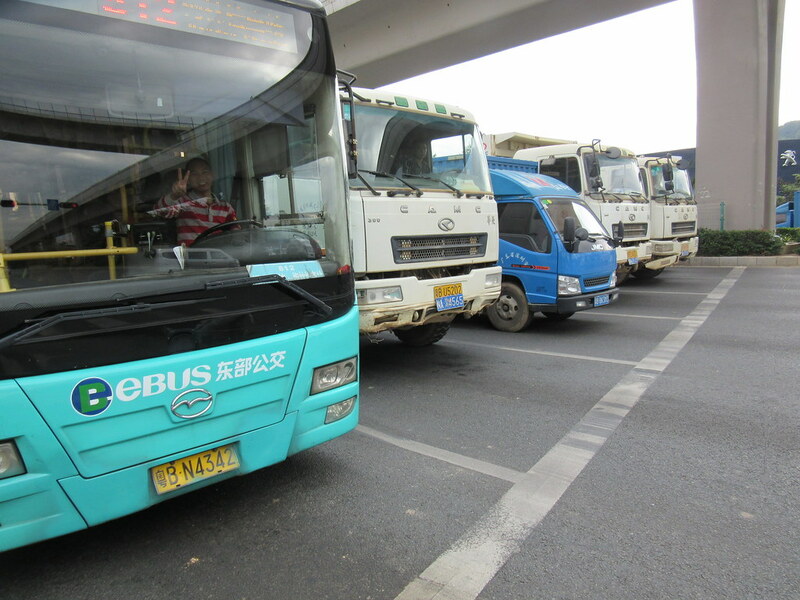 The worst day for us was travelling through Shenzhen where it was extremely busy with so many buses. Buses are the worst. I assume if they caused an accident the bus company would be in a lot of trouble so they seem to constantly be on their horns ‘warning people’ they are coming, but day by day they are slowly making us deafer! You hear about peoples’ manners in China, or maybe lack of manners. It is true that the hocking up of phlegm is pretty gross, especially when you are eating but other than that we have found people to be kind, friendly and welcoming. We do get stared at all the time with quite stern looking faces or absolute shock. We love it if we manage to turn those into a smile. We also get people giving you a thumbs up or encouragement as we ride by. I’m sure some of the small towns we pass through have never seen a foreigner before and maybe feel unsure why we’re there. It feels great if at the start of your interaction they are wary but by the end they want a picture together or shake your hand. I had also heard that some hotels turn away foreigners because they are meant to register you with the police, so I was prepared to be turned away from quite a lot of hotels. Luckily we didn’t find this at all and we were always welcomed in, once Andy had bartered down the price. 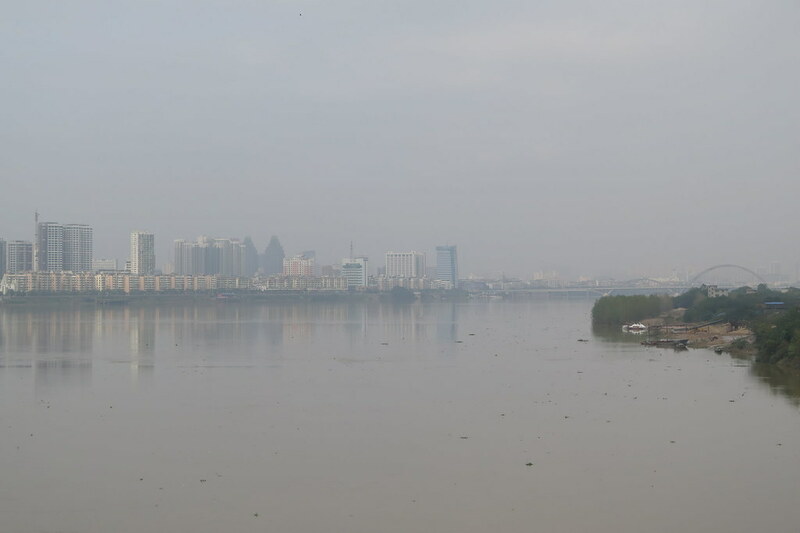 The pollution is a big problem, especially in big cities, and we often wondered what China would have been like before becoming industrialised. It doesn’t mean that there aren’t beautiful things to see. 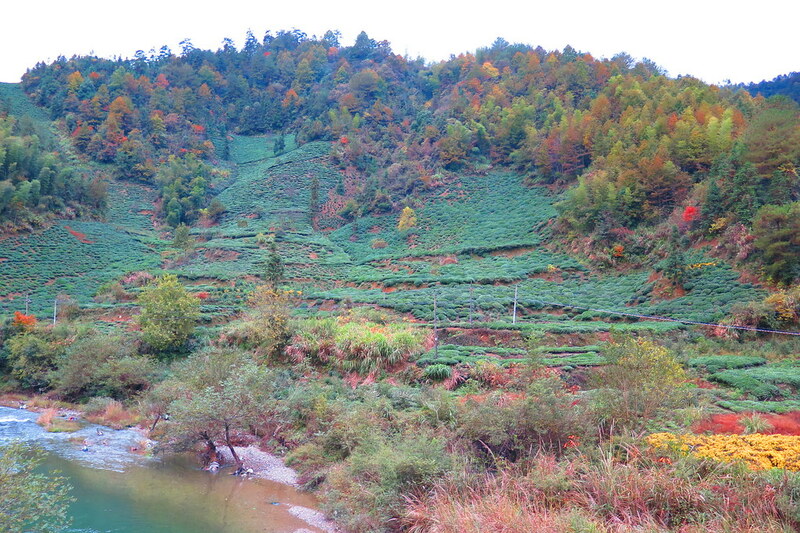 We really enjoyed riding through the farmland and many river valleys. 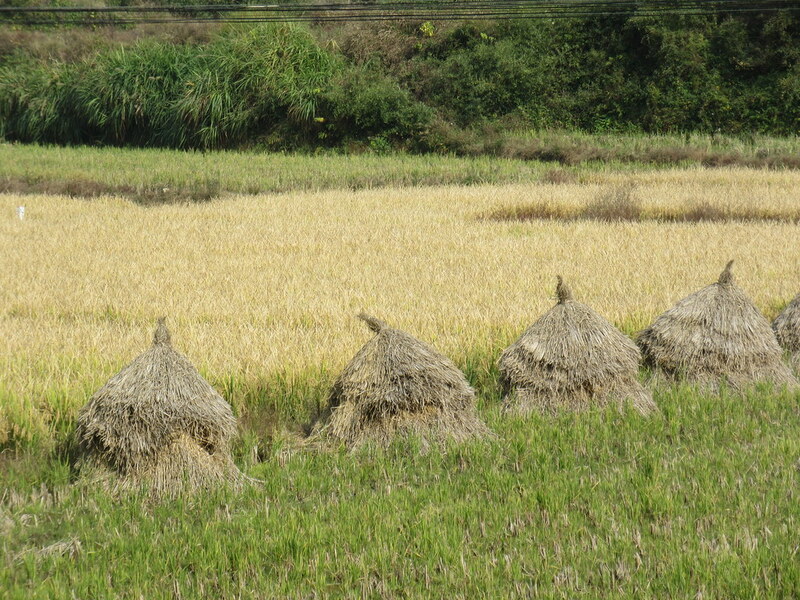 Seeing all the different crops being grown, but we also had to ride though a lot of cities and towns which did become a little dull. We always knew this leg of China would be very different to what we will do later on in the more remote areas we will travel through. We have many hours to drift into our own worlds to think about things and I thought about our part we’ve played in destroying China’s natural environment always wanting cheaper and cheaper goods. It is rare to find something that hasn’t been made in China these days. Hopefully with tighter regulations on industry things might start to change but I’m sure not for many years. We also saw many small workshops along the way making things out of rock, wood and metal. The high skill of these people was amazing to see but I can’t help thinking how little money they will end up getting from their hard work. It’s a tough life for many and it makes you realise how lucky we are. 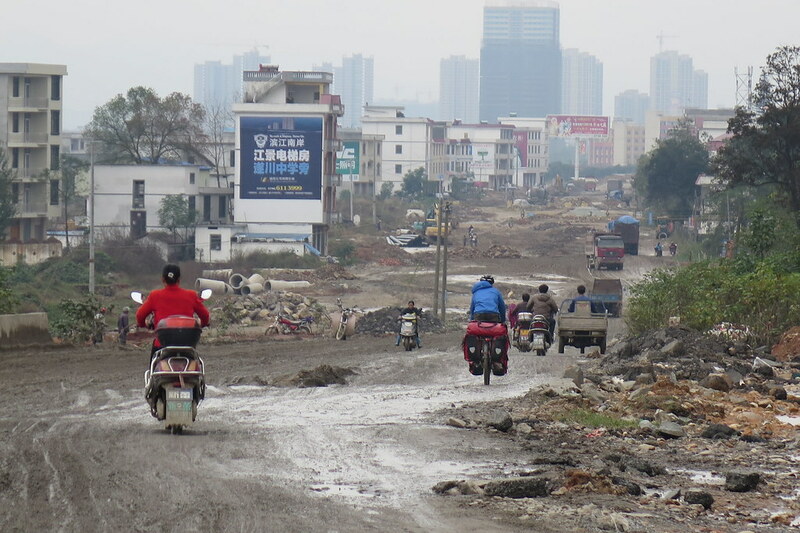 One big change for me from cycling in China is my confidence in my cycling ability has increased. I feel more confidence cycling on different road surfaces and in busy traffic. We both have become much stronger during this leg. When we started I don’t think we imagined we’d be averaging 96km days and still finishing at a reasonable time. There have been harder times but we are still really enjoying the trip. 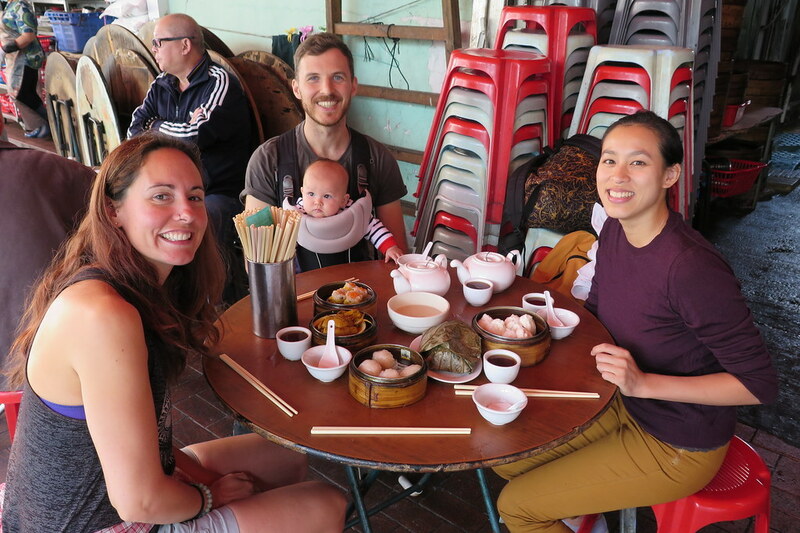 It is of course so nice to be having a break whilst we wait for our next China visas with our lovely friends Shell and Sam, and their adorable baby Bowie. 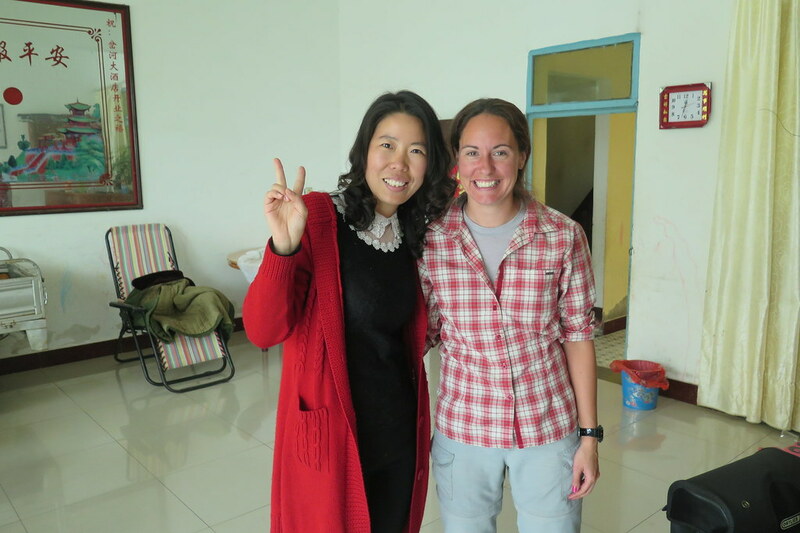 We were in China for 26 days, probably 6 or 7 were sunny. 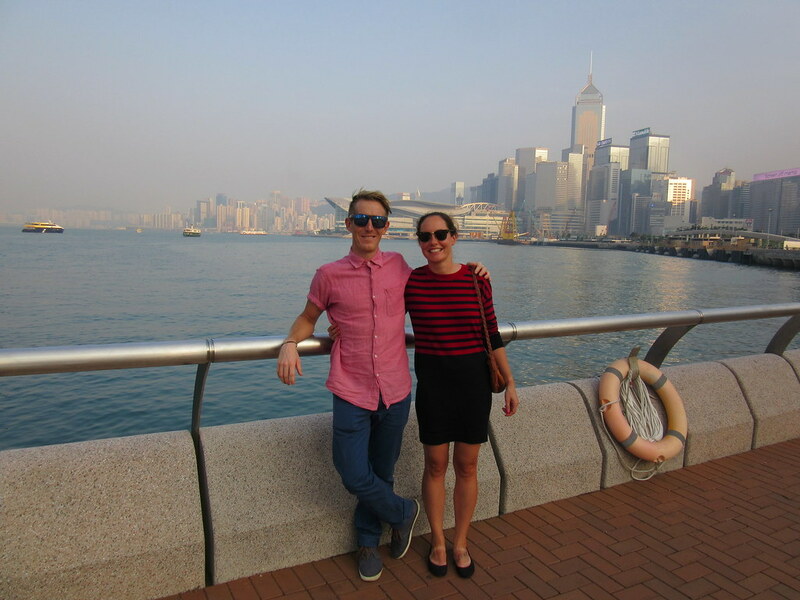 Most of the sunny days were in southern China just before getting to HK. The middle part was pretty grey and grim! We went in to Beijing last year with the same misconceptions. We were amazed at how clean it was (certainly cleaner than London) and the cycling lanes are a world ahead of here (and Australia), too! Bartering gets tiring, but that was our only real gripe. That said, I don’t think I’d have the stamina to live there! Looking forward to your (eventual) journey north!